The fresco pictured above is from Akrotiri, a Minoan city that was buried in ash from one of the largest volcanic eruptions ever recorded. 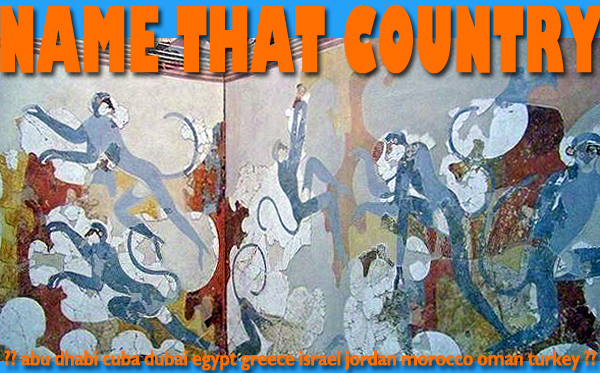 This site is known as the “Pompeii” of our mystery country. Unlike Pompeii, it seems the inhabitants of Akrotiri had time to evacuate, as no human remains have been found at the site. This entry was posted in Greece, name that country quiz and tagged akrotiri, Greece, greece tours by yalla2013. Bookmark the permalink.